Here are some of the final edited photos of the shoot I did on Saturday. It's a shame the full story photo is so tiny but you get the idea. The colours look good together. Fruity. I've included a few close-ups so you can see the hair and make-up. I love the pink look cos I think Sarah, the model, has a touch of Alicia Silverstone about her in that shot. 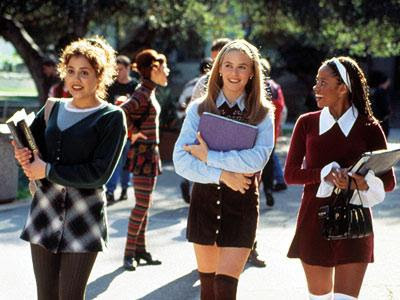 If you are around my age, like me, you too will also have had a tiny crush on Cher in Clueless... aah those outfits, so 90's. Inspired.